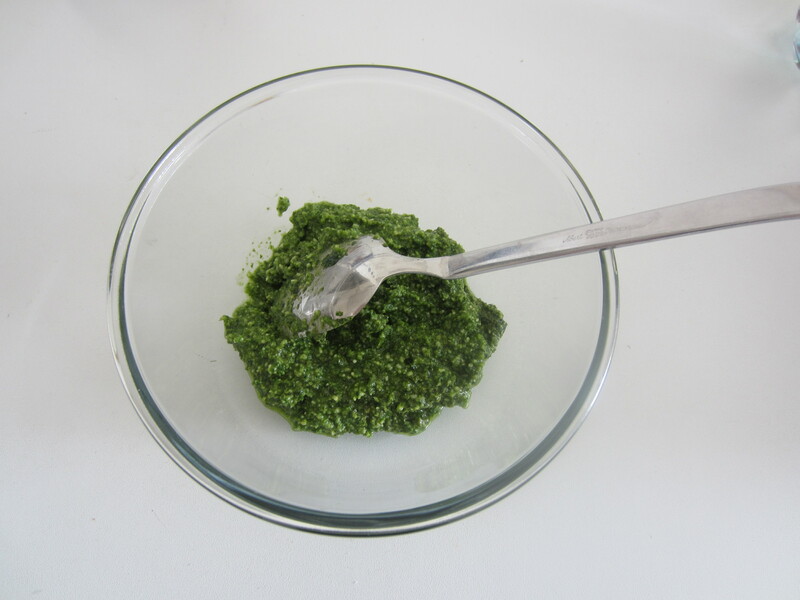 The Arugula Pesto is a fantastic different pesto – still vegetarian -simply done with different ingredients, but still tasty and fresh. 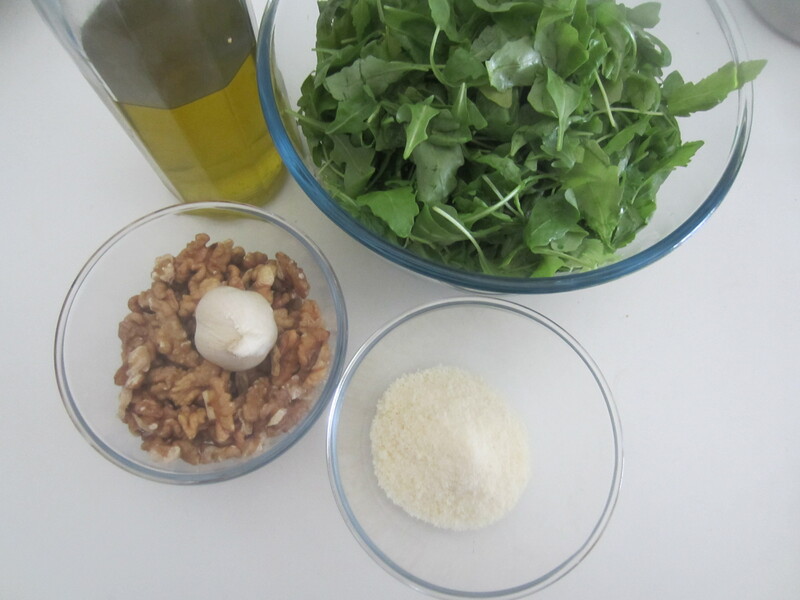 You will love it not only on pasta or gnocchi, but also on meat and roasted fish, to accompany eggs and bruschettas. 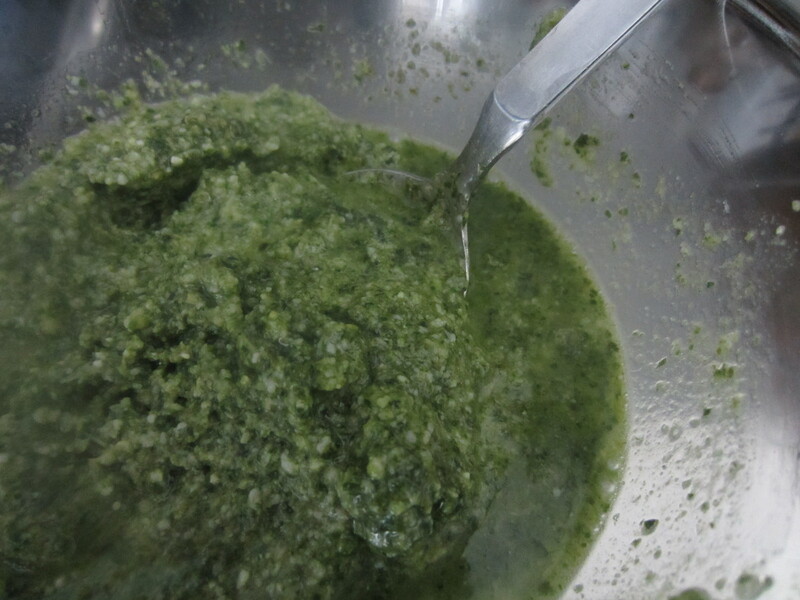 And if you do not like garlic, you can still taste the pesto simply not adding the garlic. Try it and you too will love it!I love it always, with and without garlic! 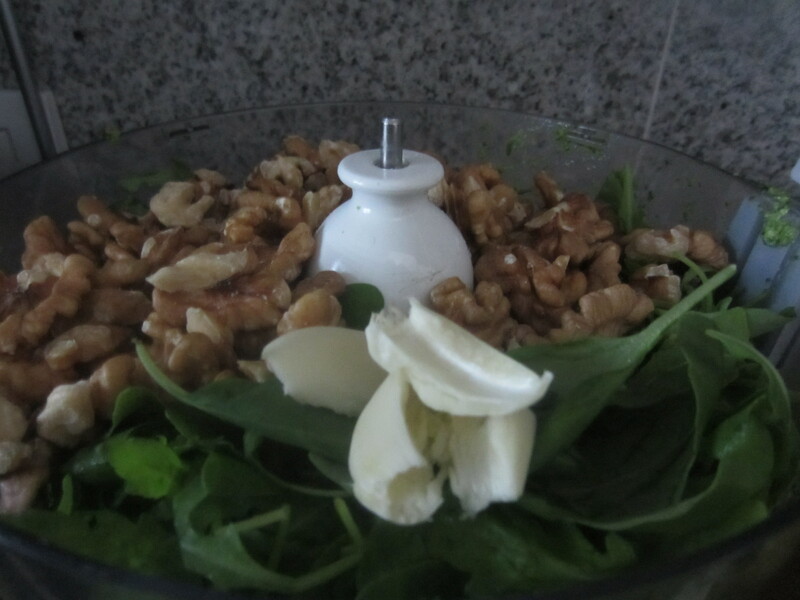 100 grams – 1 cup – arugula leaves, 100 grams of walnuts without shell – ½ cup, 1 cup extra-virgin olive oil, 1 or 2 cloves of garlic, depending on your taste (you can not put it at all), 100 grams of grated Parmesan cheese and finally half a cup of hot water from the pasta. 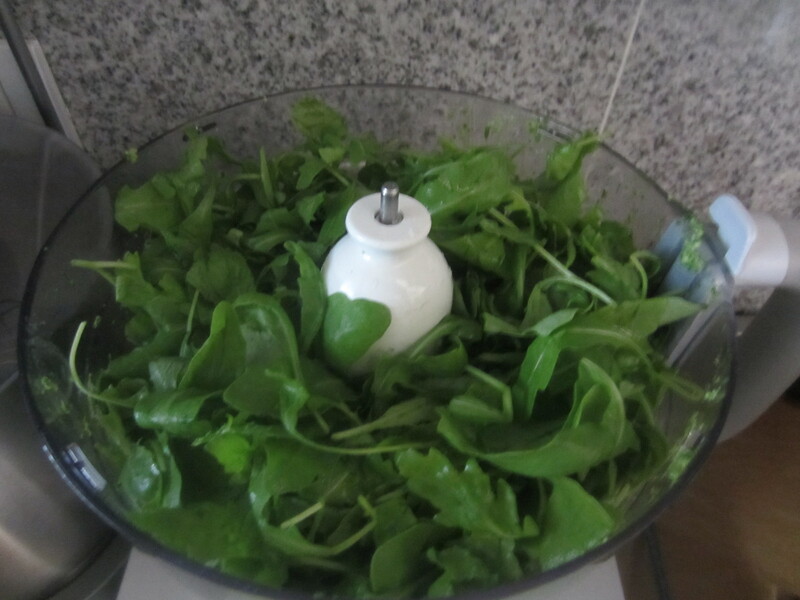 First of all, wash the arugula leaves and dry out. 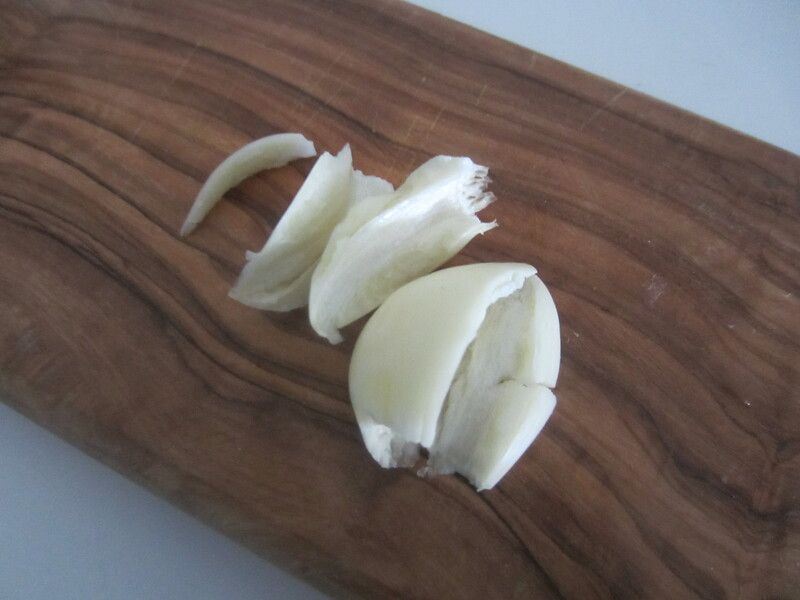 Them chop the garlic. 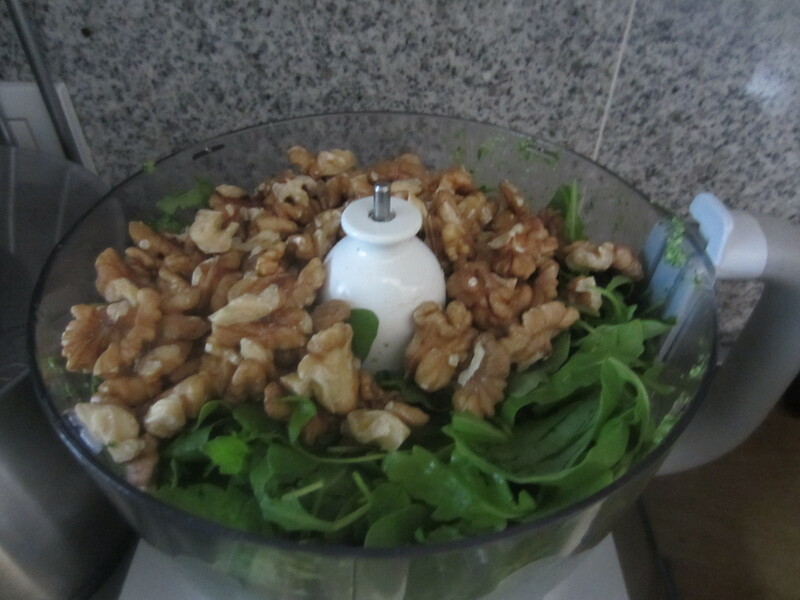 Put in a blender the arugula, walnuts and garlic. Whisk and then add the oil a little ‘time. Blend well until you obtain a very homogeneous cream. 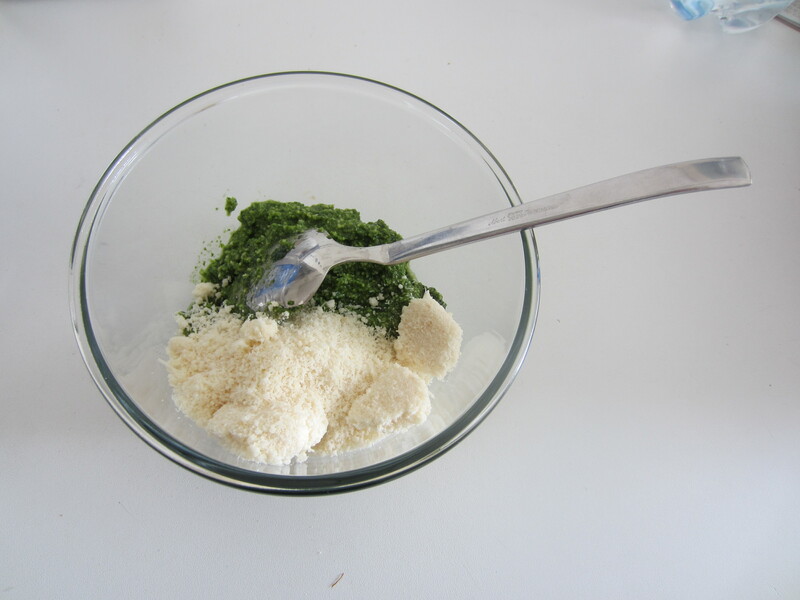 To complete the pesto, add 100 grams of Parmesan and mix well. 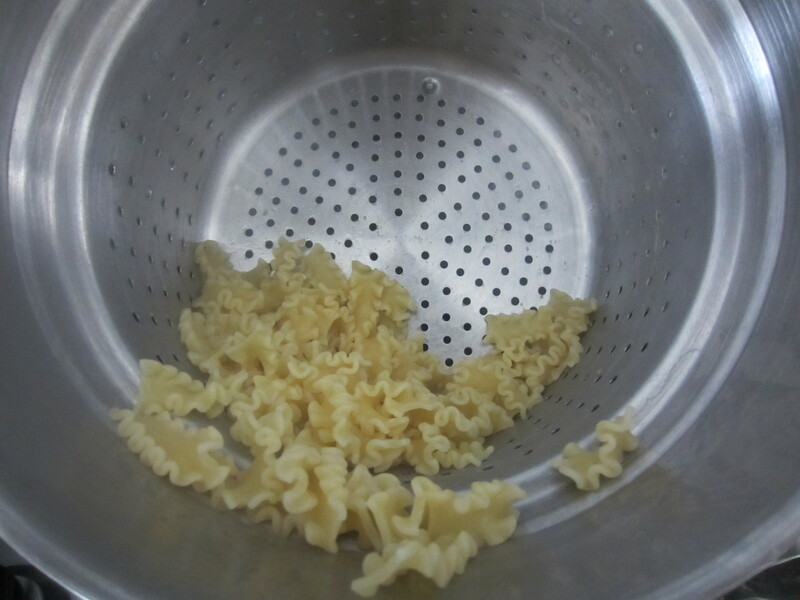 Meanwhile cook the pasta while the pasta is boiling, add the pesto one or two scoops of cooking water. 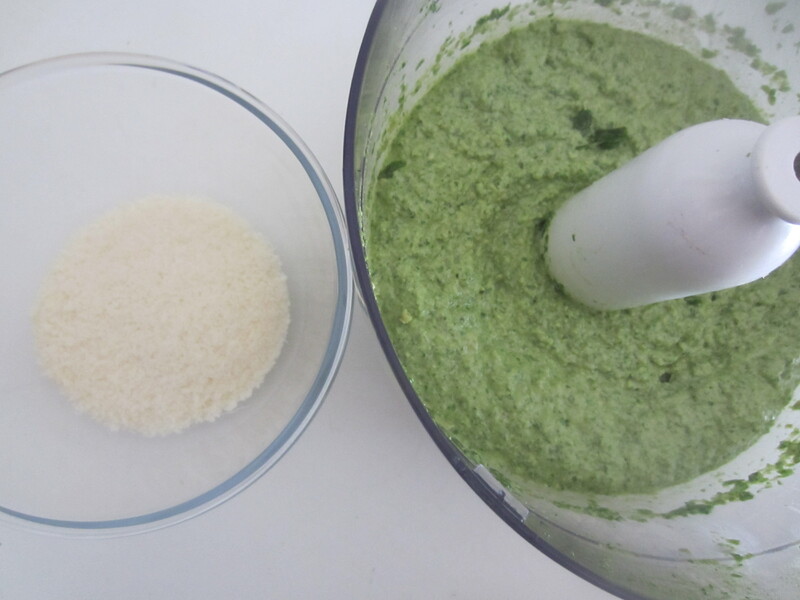 Add water to cook the pasta takes to mix well the various components of pesto, to add salt to make it smooth and creamy, and ultimately to enhance the bouquet: And ‘this is the trick to a perfect pitch! 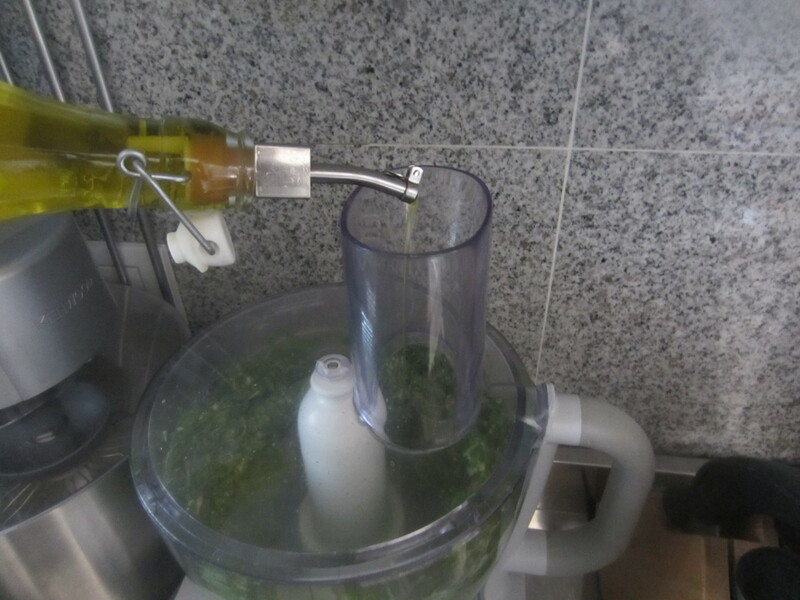 Now you may serve the past with a fantastic unusual but still very Italian Pesto and a little extra virgin oil. Buon appetito, enjoy it! 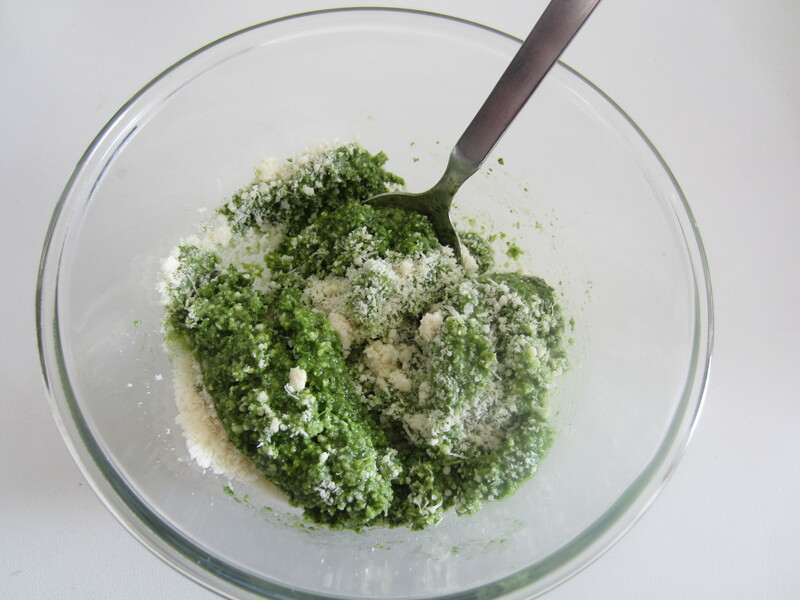 I love arugula pesto! 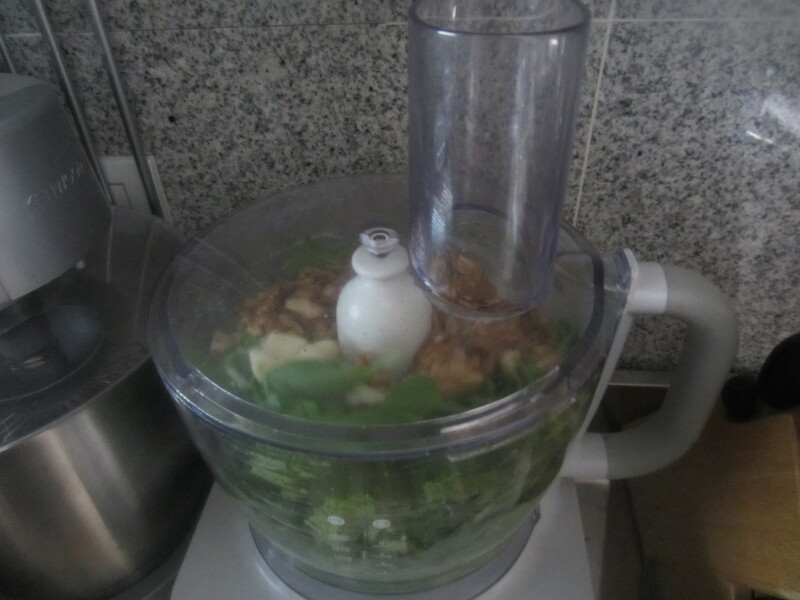 I’ve also tried making it with mustard greens as well. Delicious! Wow sounds fantastic! 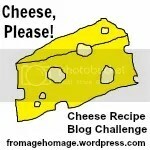 Please share the recipe!!! 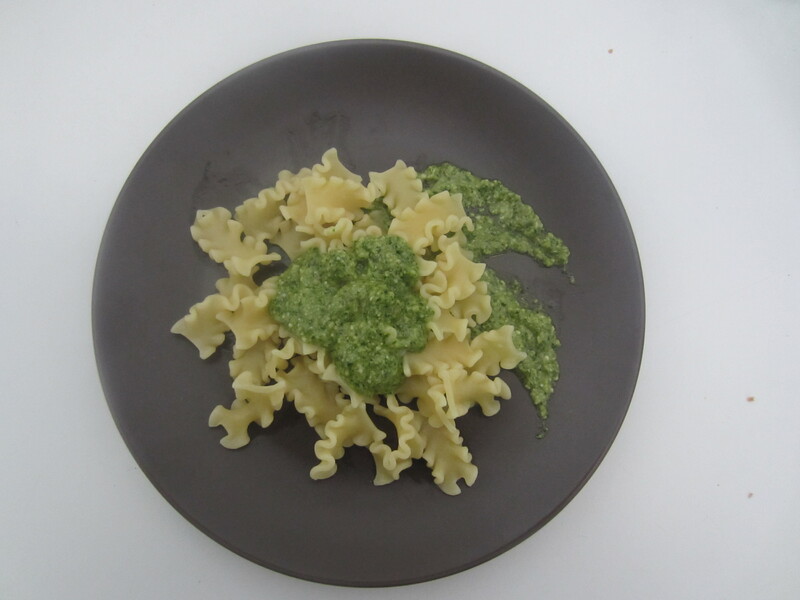 Love the idea..and love pesto!